Fathers are usually a great font of knowledge to their sons, but are unusually silent about one particular topic – how to shave! Most youngsters will watch their fathers shaving with fascination, but once puberty hits and those wispy whiskers need shaving dad, and his advice, are noticeable by their absence! There are several possible reasons for this. Firstly, by the time a boy is old enough to shave he’s usually a bit cocky and wouldn’t take any advice from his father, even if it was offered. Also, you’ll find in animals, that as young males are maturing they are seen as a threat to the older generation, the alpha male being challenged by the young pretender. So there may be a subconscious aversion to giving to much knowledge to the young upstarts. Or, quite simply, it may be that most fathers don’t feel happy with their own shave technique and don’t want to pass it on. Whatever the reason it is a fact that the vast majority of cases no one teaches a guy how to shave. It seems like a bizarre rite of passage that a young man will lock himself in the bathroom, emerge 15 minutes later looking like something the cats dragged in, and repeat the same for the next 60 years. 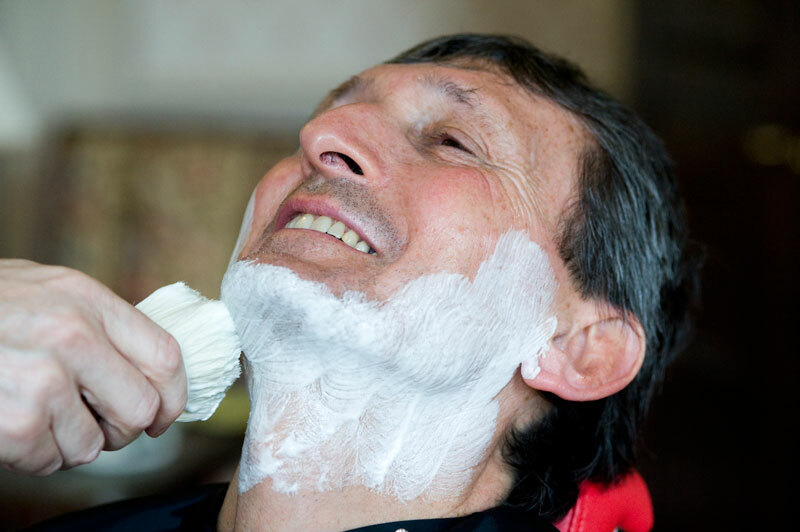 So this list aims to redress the balance and tell you all the things you need to know about shaving that your Dad would have told you – if he’d known! Obvious really, isn’t it? But with the cost of cartridge razors so high lots of guys use them for far too long. So they’re shaving with not one blunt blade, but three or five. Plus lots of guys who shave infrequently think their blades will last longer because they don’t use them as much. Unfortunately from the first time you use a blade it starts to corrode, dulling the cutting edge. The solution is to change your blade more often. If cost is an issue consider buying a safety, or double edge (DE), razor. Traditional razor blades are usually of higher quality, last longer and cost far, far less. A suprising number of men have no idea which directions their beard grows in. Let your beard grow for two-three days then run your fingers over it in all directions. The direction in which you feel the rasp is directly against the direction of growth. This can also be done by running a cotton wool ball over your face, as the strands will become stuck to the bristles as you against the growth. As a rule you shouldn’t shave against the direction of growth as this can lead to razor burn (irritation), razor rash (infection/folliclitus) or ingrowing hairs. For a good, close, everyday shave going with and across the growth is usually sufficient. The neck is usually the area that causes the most problems as it can have very confused patterns of growth. For the vast majority of men shaving outwards from the Adams Apple will give a good shave with minimal irritation. We’ve all got one – a shave face that is! Although our bathroom mirror contortions are thought to be one of the reasons men generally age slower than women (it exercises the facial muscles) it doesn’t pull the skin tight enough for a really close shave. Use your free hand to pull the skin tight away from the direction you’re shaving. This pulls the bristles upright and makes it easier for the razor to catch them. It also smooth’s out any spots, imperfections and scar tissue making them less likely to be nicked. With all types of razor, but particularly multi-bladed cartridges, moving it too quickly over the skin will result in it getting clogged with cut bristles and causing it to jump and tug on the remaining bristles. This is more of a problem if you don’t shave every day, as the bristles are longer. Here are a few things that you can do with your razor that will drastically improve the quality and comfort of your shave. Rather than try to shave in one long stroke break it up into short strokes of 5-10mm. This helps to prevent the razor from clogging. Only use half of the width of the razor, particularly with three or more days growth. This cuts down the amount of bristle being cut with each stroke and will reduce tugging and clogging. Hold the razor at a slight slant. If you’re doing a stroke down the face hold one end of the cutting edge above the other. This produces a guillotine effect (rather like cutting through a crusty loaf, you’d hold the knife at an angle) that helps cut bristle cleanly. Don’t expect to have a babies bottom smooth shave! You are a man who grows bristly facial hair. There will always be a slight rasp if you run your fingers against the direction of growth. This is normal. You will never be 12 years old again! Also, if you have dark facial hair and a pale complexion you will see some darkening of the skin due to seeing the bristle through the translucent skin (I call this the Homer Simpson effect). You will never get rid of this no matter how hard or close you shave. If you do suffer irritation after a shave try not to shave every day. If your growth is not too heavy try switching to a 36 hour rotation rather than a 24 hour one. So rather than shaving every morning try this – Monday morning, Tuesday evening, Thursday morning, Friday evening, as so on. If you have to shave every day, or have a heavy growth, try to give yourself at least one day a week off to let your skin have a chance to recover. If there is one purchase that is going to make your shave of better quality and comfort it is a shaving brush. No matter what type of razor you use, be it straight, safety or cartridge, a shaving brush will make a huge difference. 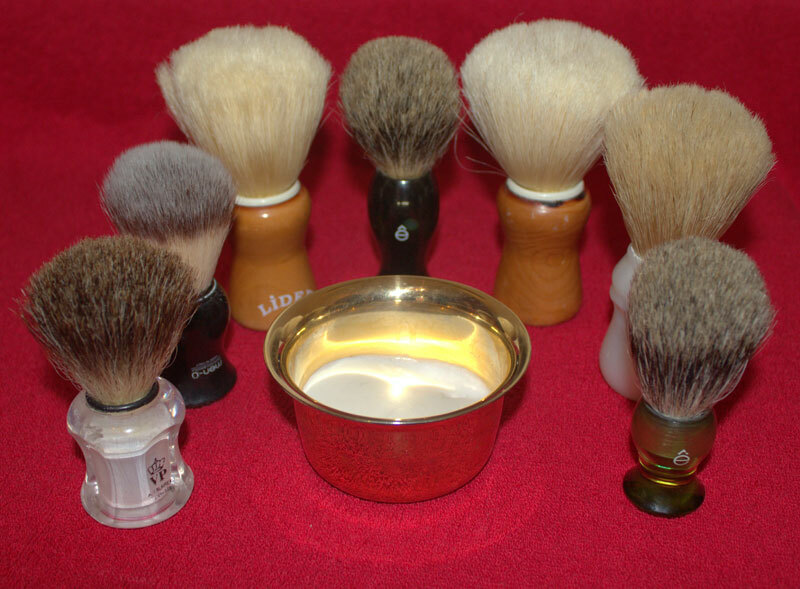 People often imagine that shaving brushes are expensive. While this might be true of some of the badger brushes, you can get very good quality badger, bristle and synthetic brushes very reasonably. Don’t imagine that you need to use this with expensive soaps either. If you’ve just bought 100 cans of Tesco Value squirty foam because it was on special offer, don’t despair. Squirt some into your hand, work it around with a damp brush, and you’ll find that all those big bubbles break up and you’re left with a useable lather. It won’t be as good a lather as one produced from a shaving soap or cream, but perfectly serviceable. Obviously shaving soaps or creams are better, and again don’t need to be expensive. A word of warning though – you may find the huge variety of types and scents available to be addictive! It’s been calculated that the average man could spend up to six months of his life shaving. That’s going to get pretty boring and repetitive if you do the same thing every time. So – mix things up a little! Try a different type of razor, swap your mass produced cartridge razor for a safety razor, or even a cutthroat! Develop a taste for shaving soaps or creams – there is an almost infinite variety out there, and it will make you very easy to buy presents for. 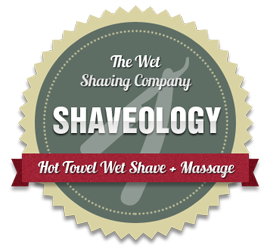 Instead of your normal hot water shave try an ice cold one – you might be surprised at the results. Go and get a proper old school barbershop shave. You owe it to yourself to let someone else shave you at least once in your life.